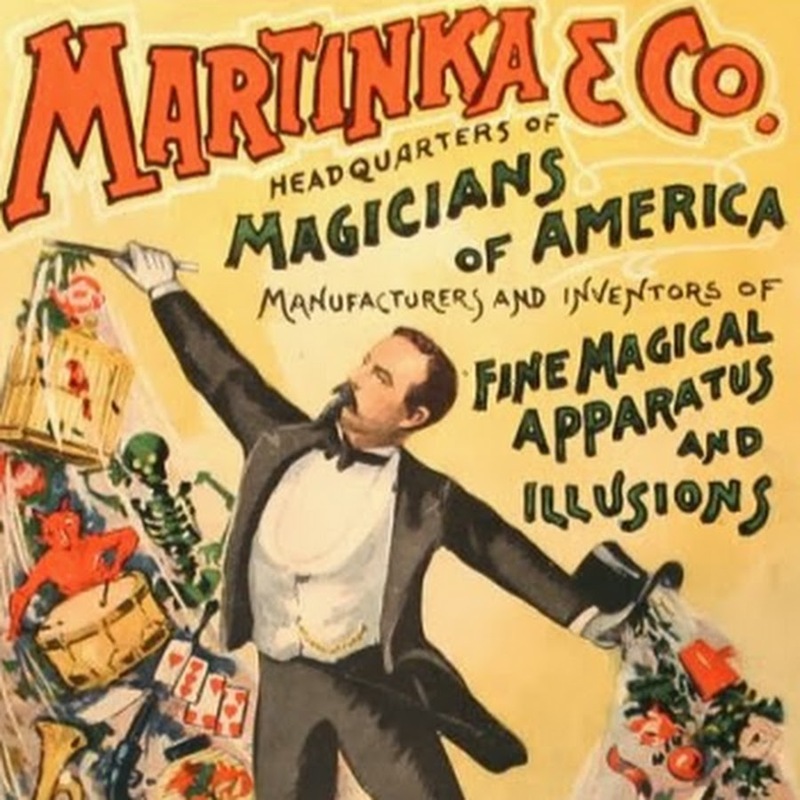 PODCAST The history of magic in New York City — in all its peculiar varieties. 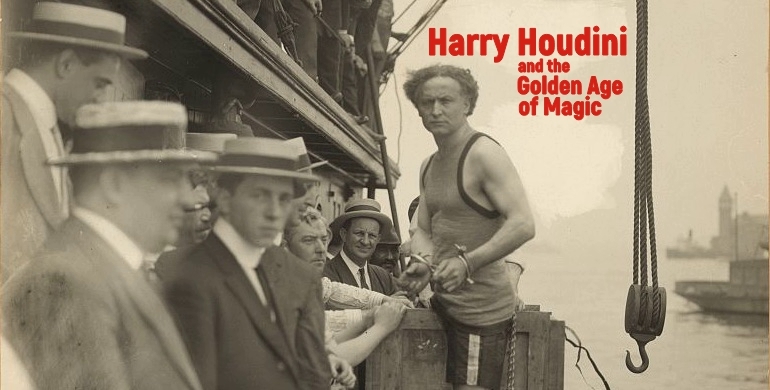 Harry Houdini became one of the greatest entertainers of the 20th century, a showman whose escape artistry added a new dimension to the tried-and-true craft of stage magic. In this show, we present not only a mini-biography on the daredevil wizard, but a survey of the environment which made him — a city of magic, mediums and mystery. 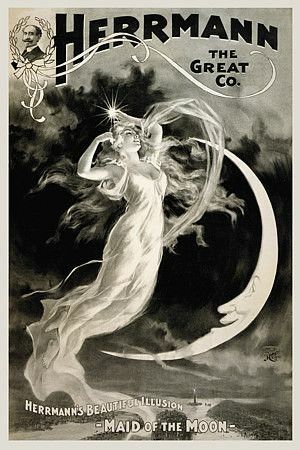 New York during the late 19th century was a place of real, practical magic — electric lights, elevated trains, telephones and other wonders that would have seemed impossible just a few decades before. Those that performed stage magic in a world of such unbelievable inventions would need to up their game. 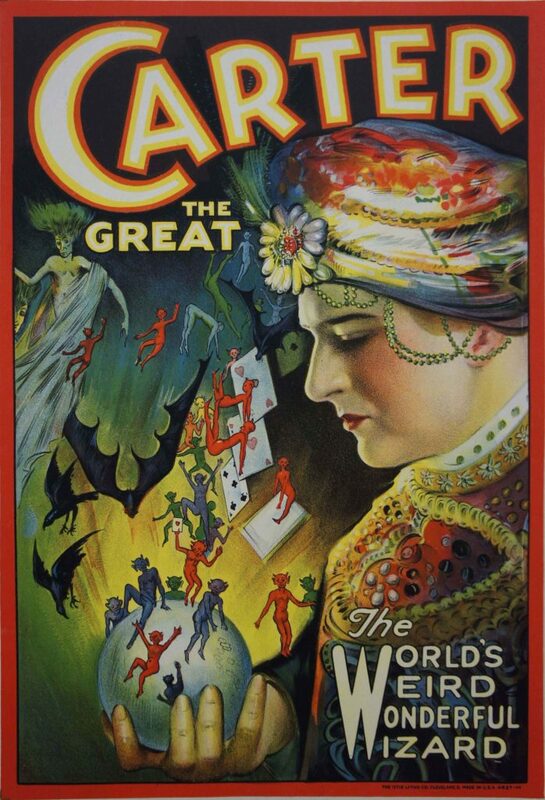 The great names of European stage magic — most notably Jean Eugène Robert-Houdin — would give rise to spectacular performances on both vaudeville and legitimate stages. Performers like Howard Thurston would dazzle New York crowds with unbelievable demonstrations of levitation while Harry Kellar and his ‘spirit cabinet’ would seem to use sorcery from other worlds. Houdini got his start in New York’s dime museums, evolving from simple card tricks to elaborate routines of escape. He was a truly modern performer, borrowing from the magic masters and benefiting from an eager public, looking for a virtual superhero. 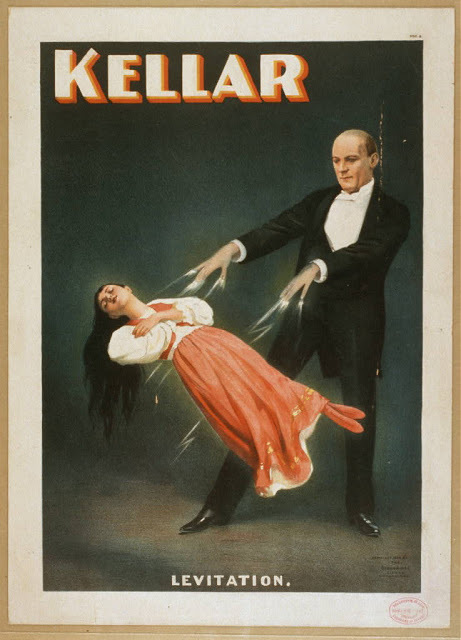 But stage magic had a surprising foe — actual magic or, as practiced by hundreds of mediums and mystics, spiritualism. 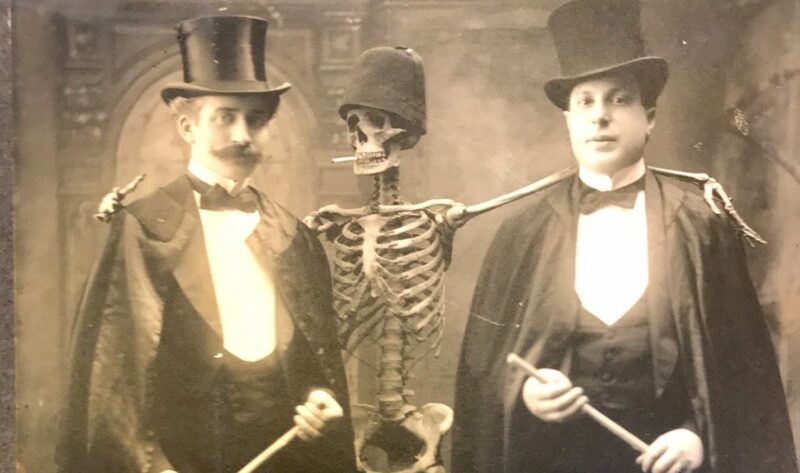 Suddenly, the craft of magical illusion seemed secondary to those who could practice those same arts via a connection with the afterlife. Houdini was drawn into the debate early in his career, and the conflict intensified with his unusual friendship with one of the greatest writers in the world. And we have even MORE magic in store for you! 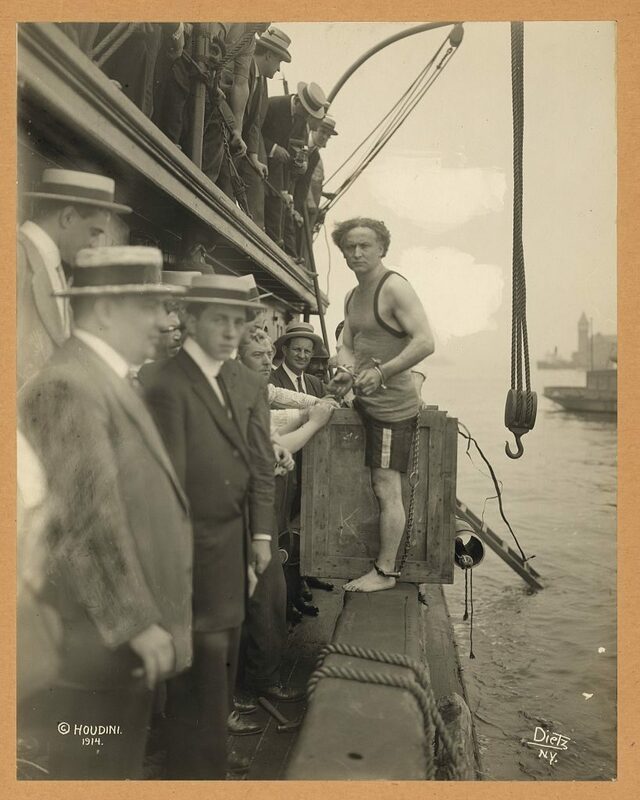 At top: Harry Houdini stepping into a crate that will be lowered into New York Harbor as part of an escape stunt on July 7, 1912. ← The Bowery Boys Magical Mystery Hour presented at the New-York Historical Society – Tickets on sale!